If you've been on the fence about about picking up the white version of the Nexus 4 that just hit the store three days ago, the decision has been made for you if the sixteen gigger was your peach. As of this moment, Google is "temporarily out of stock" of the sparkly white flagship with 16GBs of storage, but if happen to think eight geebees may do the job, then you're still in luck. Hopefully El Goog anticipated an influx of new sales and will be getting more white 16s in stock soon enough. 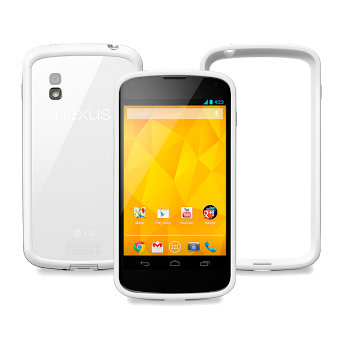 Of course, the black one is still available if you simply must have a Nexus 4 right this minute.